Undergrad tuition brings in just 10% – 20% of total revenue at the Ivy League / Top-10 schools not listed above. Undergrad Tuition is not more than a quarter of revenue at any of these schools. Tuition is meaningless income to MIT now — a drop in the bucket, just 3.2% of their income comes from undergraduate tuition — but so long as the Tuitions are unaffordable for 58% of undergraduates, the Investment returns on $16.4 billion dollars are tax free. We ask hard questions because so many of the problems worth solving in life are hard. If they were easy, someone else would have solved them before you got to them. … the whole point of research is to find and answer questions that have never been solved. You can’t learn how to do that without fighting with problems you can’t solve. 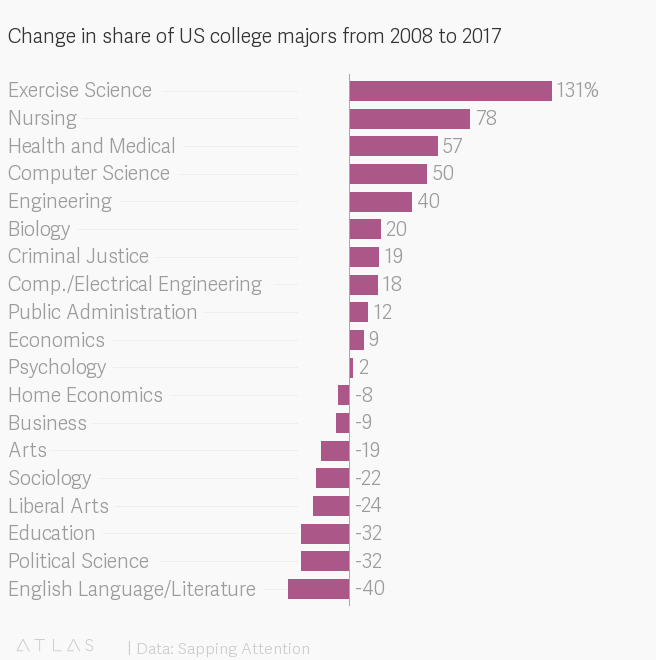 American universities today deliver facts, abstract analysis, and credentials over developing students into mature citizens. Administrators and faculty also see themselves as authoritative. Universities appear poised to follow the Big 3. The equivalent for endowed universities isn’t bankruptcy. 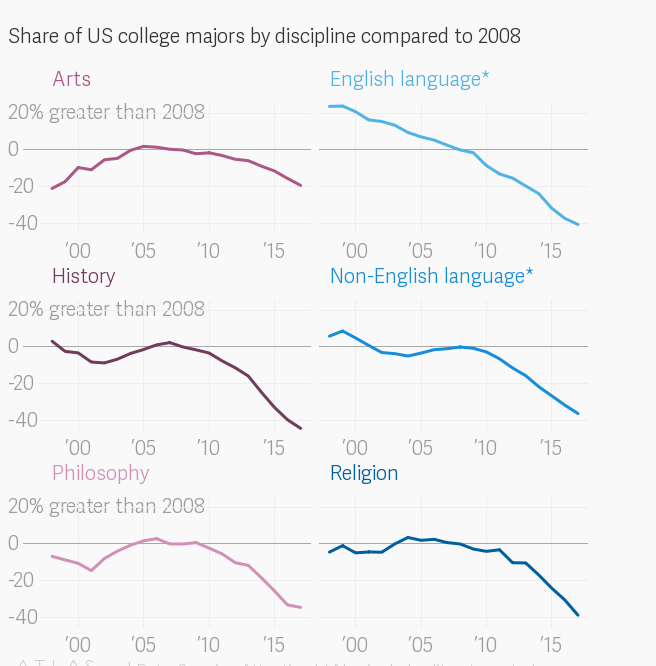 It’s the world’s top students going elsewhere or forgoing college altogether. While few today could imagine Harvard losing its status, fewer would have imagined General Motors bankrupt either. US car makers in the 1960s ignored red flags. Universities today face similar warnings. … Universities’ equivalent of Unsafe at Any Speed is Google no longer requiring college diplomas for its employees. Schools choose what students can study and motivate by authority. Whatever content they teach, behaviorally they teach compliance. Knowledge, analysis, and compliance were valuable generations ago, in the age of the knowledge worker, not when facts are available instantaneously, as today. While universities increasingly teach entrepreneurship, many teach about entrepreneurship or specific business skills, not how to take initiative. … Universities talk about developing leaders, but teach academic analysis, which doesn’t hurt, but doesn’t develop emotional and social skills either. 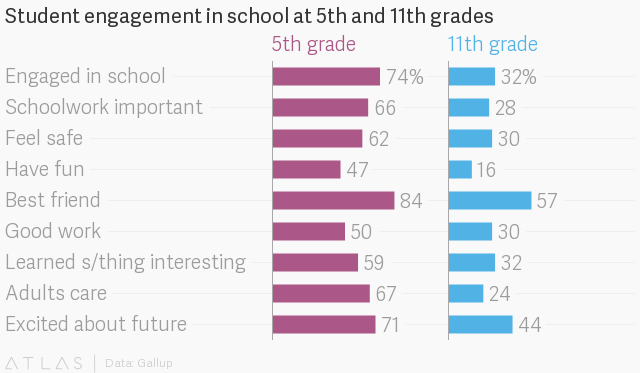 Students become much less engaged as they move through middle school to high school. At this school, I get to do what I do best every day. I have fun at school. In the last seven days, someone has told me I have done good work at school. In the last seven days, I have learned something interesting at school. The adults at my school care about me.